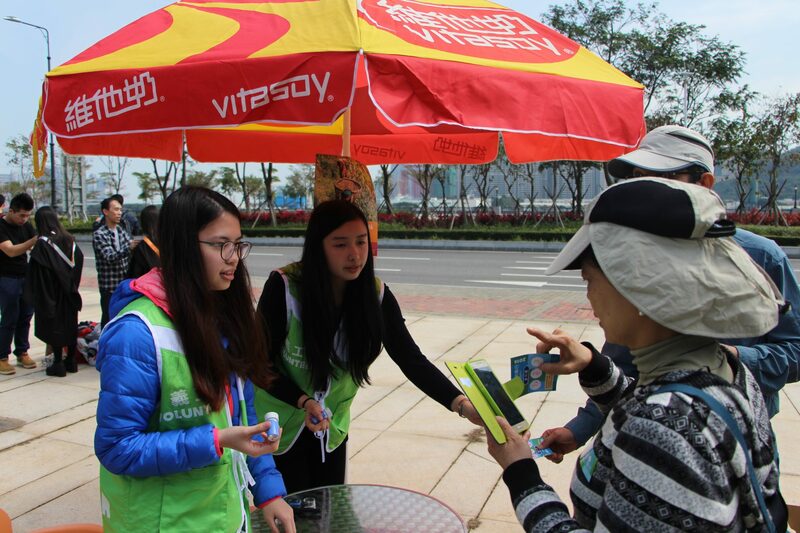 More than 50 students joined as volunteers to assist the Walkathon. On Sunday 28th February, 2016, the beautiful campus of University of Macau (UM) accommodated the second “Oxfam Walkathon”, as the first charity walk event on the Hengqin campus. 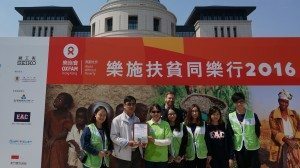 As one of the supporting organizations, UM’s Stanley Ho East Asia College (SHEAC) provided volunteer and logistical support for this meaningful event to join hands with Oxfam to publicize the poverty alleviation message and help the poor to get rid from poverty. SHEAC was also awarded the second runner-up of the “Award of Highest Amount of Fund Raised” in the team category. Volunteers helped the venue set-up. At 7:30am on the sunny Sunday, more than 50 student volunteers started the preparatory work for the event in high spirits. 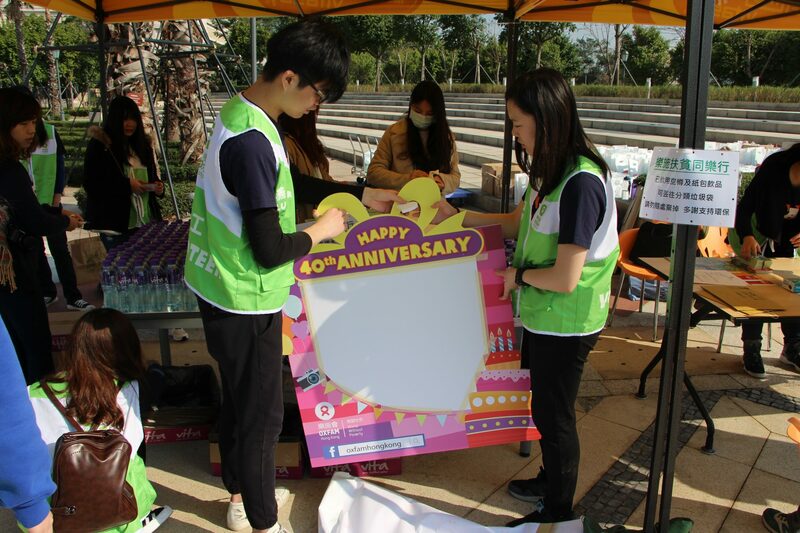 They moved equipment and materials from the College to Wu Yee Sun Library Plaza, and assisted the venue set-up. 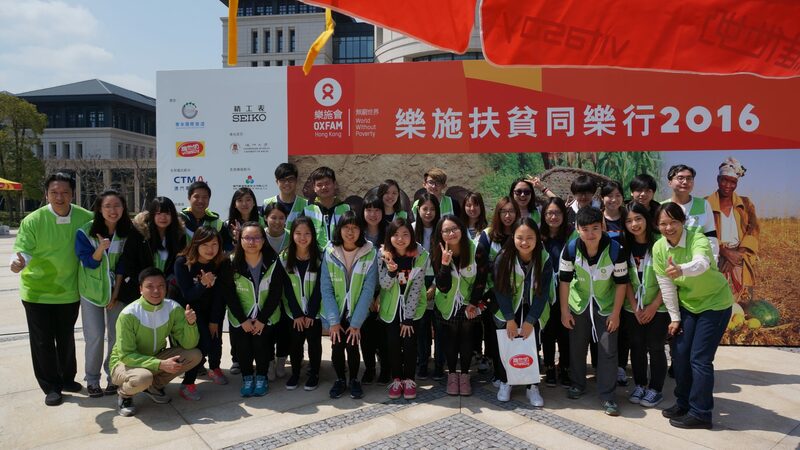 In fact, nearly one month ago, a small group of core volunteer members already began helping to prepare materials for the event and design booth games. Participants registered to join the event. 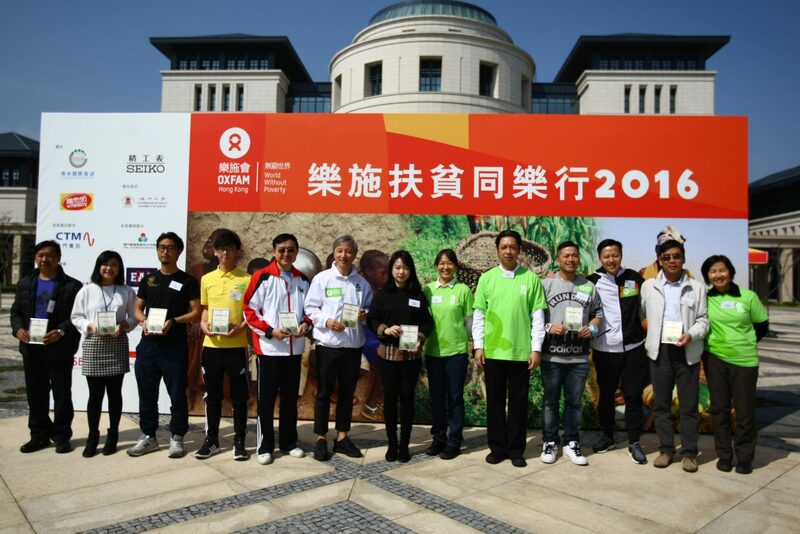 The Walkathon launching ceremony was officiated by the Council representative of Oxfam Hong Kong (Macau Office) Mr. Ivan Sam, Director General of Oxfam Hong Kong Dr. Trini Leung, Oxfam Ambassador and President of Macau Artistes Association Mr. Terrance Chui (Siu Fay), Chairman Mr. Jones Chong and Vice-President Ms. Vivian Chan, UM Dean of Students Dr. Peter Yu, and SHEAC College Master Prof. Iu Vai Pan. The Walkathon attracted about 300 participants to walk for a total length of about 2.5 km and 1.5 hours. After the walk, participants could also join the interactive games at a number of booths in the Library Plaza, for example, South Asian minority henna workshop, and fair trade coffee grounds scrub DIY, to understand Oxfam’s vision of “world without poverty” and its approach of “help people help themselves”. SHEAC was awarded the third place of the “Award of Highest Amount of Fund Raised” in the team category. SHEAC hopes that, through active engagement in community work, students would strengthen their interpersonal skills, nurture stronger social responsibility, and take appropriate actions for social betterment. Sincere gratitude must go to all the volunteers for their time and generous contribution to this great event! 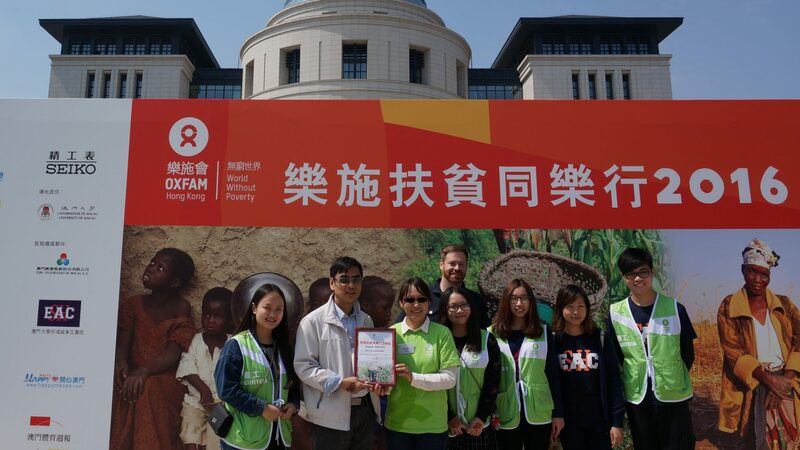 As an international anti-poverty and development confederation, Oxfam aims to work together with partners and local communities to alleviate poverty and injustice. 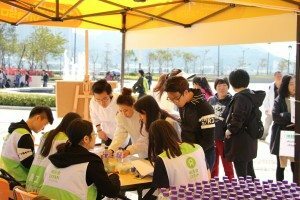 In addition to combating poverty, providing relief support and advocating for policy changes, Oxfam also devotes resources to educational programs that nurture the younger generation in Macau to become global citizens and work together to reduce injustice that causes poverty. Guests officiated the Walkathon at the launching ceremony. 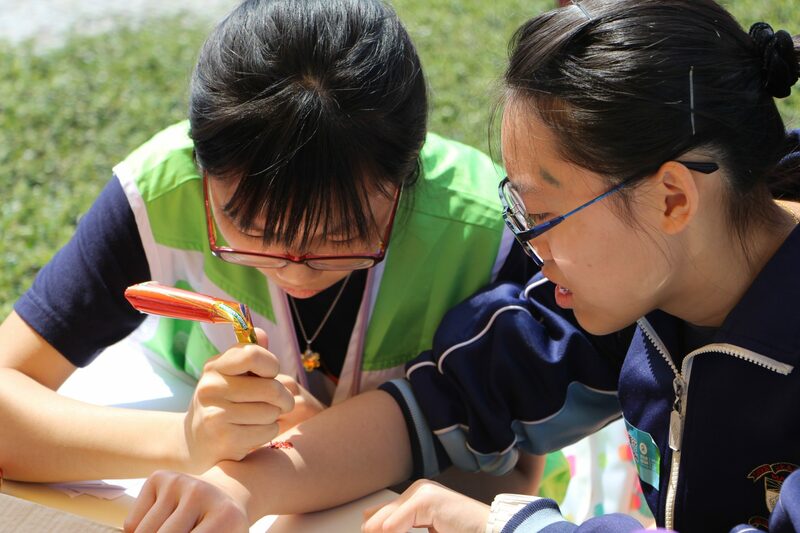 Volunteers painted henna on participants’ hands for them to experience the South Asian culture. Volunteers helped at the checkpoint.